While undergoing lots of stress and hard work in day-to-day life, fitness is necessary to keep going. Different people go for different options. While some opt for walking, others do jogging or cycling. Not only the health conscious people but the sports persons go for running, mountaineering, roller skating and other such activities to keep themselves fit and compete with others. Your android smartphone can be the best guide how much activity you need to carry out. The question arises here, how the smartphones can help? The answer is useful walking apps which can record, track and show your steps to you so that you can monitor your walking everyday. Surely helps you to push yourself higher.The smartphones have geo-sensors that can calculate the movements. Just what you need is to download the correct application and get going. 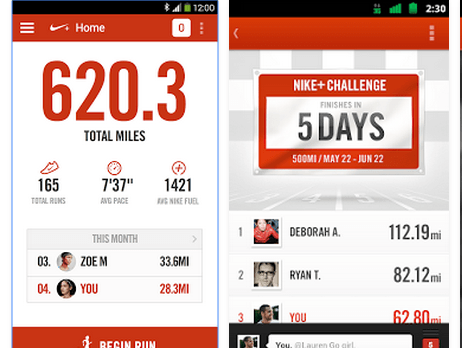 For people using Android phone, we have mentioned seven walking apps for android below. Just go for it and enjoy the benefit. 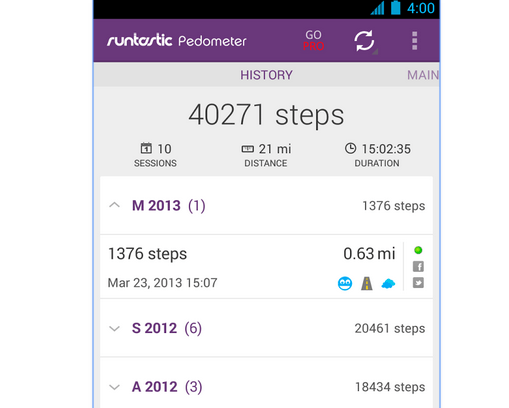 Whether you are walking, jogging or cycling, this app helps you calculate the steps and the timing as well. You can download this app developed by ProtoGeo from Google Play Store. 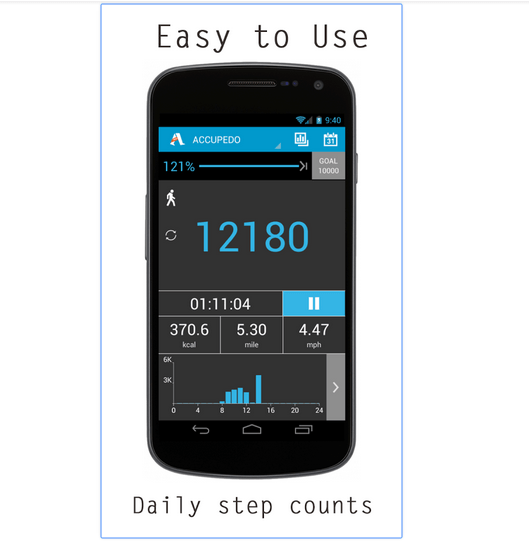 This app has very simple pedometer with low battery consumption. By using this app you can recognize the difference among activities like walking, jogging and cycling. You can have the access to the routes, the daily landmarks and the daily movements by using this app that has an enjoyable user interface with simple user menu. This app consists of features that help you track not only variety of physical activities but also the post-activity requirement of your body. Some of you may be going for a walk, while some others would like to go for jogging or cycling. Beyond these activities, sports persons and athletes love to go for mountaineering, roller skating, spinning, hiking and other such activities. This app has the features by use of which you can not only calculate the steps with speed and the time but also the amount of calorie that has been lost and also the GPS tracking. You can download this app developed by MapMyFitness, Inc from Google Play Store. Want to shun elevators and take stairs to check your fitness level. 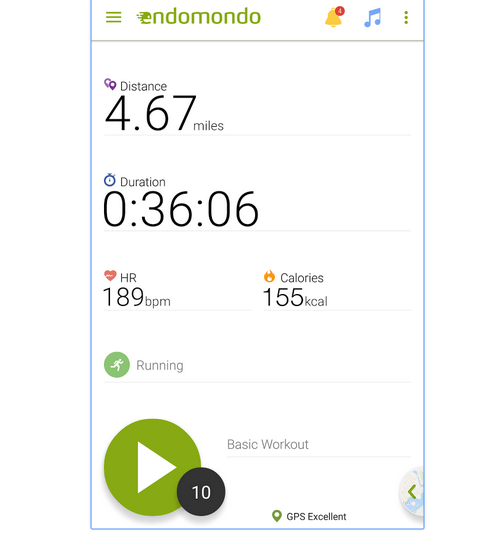 You can download this app developed by Runtastic, which Trial and Pro is available on Google Play Store. Here you can count the steps with speed. 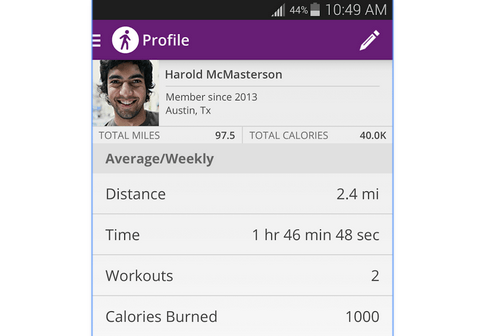 This app, integrated to all popular social media websites, is also a source of motivation as you discuss the activities with friends for a healthy competition for walking 10,000 steps and more so that the fitness goal is achieved. With the help of this app developed by Endomodo.com you can not only track the physical activities like walking, jogging, cycling, climbing, yoga or martial arts but also calculate heart beat and the calories spent. This is a multi-purpose app, which Pro version is available on Google Play Store. Here you can motivate friends for the physical activities to maintain fitness by sharing your training details and get into competition with them. This app has a very clear intuitive display for your workout stats and also a constantly updating display of other users as well who are currently out for their own workouts. Nike is an established brand of the sports world. Nike Inc has developed this app keeping in view the requirements of athletes and the sports persons that you can download from Google Play Store. Here you can view breakdowns of the walking, running and other physical activities and correct it to achieve the fitness goal. When you spread the message to the friends on Facebook and show off your route with their new map sharing experience you can activate live audio cheers. This round the clock functional app is very simply designed with accuracy that does not let you miss even a single step. Because there is no need of GPS, battery consumption in this app is very low. You can download this app developed by Noom Inc from Google Play Store. Just download this app and you can encourage other members of the family and also the friends by sharing the statistics and feel motivated with High 5’s. 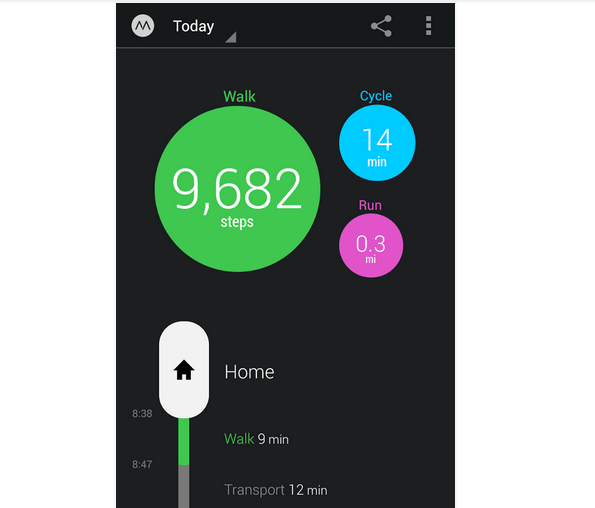 If you have an Android phone, the home screen of the device monitors your daily walking routine. The counting starts just when you have walked 10 steps in continuity and this app detects that. 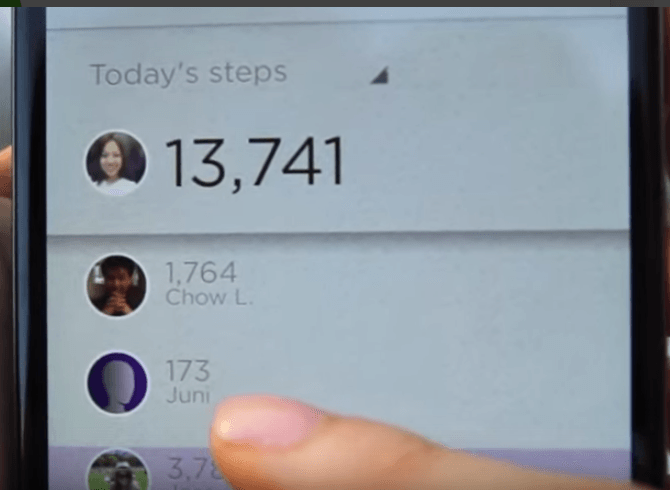 The 3D motion recognition algorithms of this app notices just your walking activity and emanates out the non-walking activity. You can review the walking history through the chart and the logs that this app maintains. In this app GPS is not always required to count the steps. You can download this app developed by Corrusen LLC from Google Play Store.